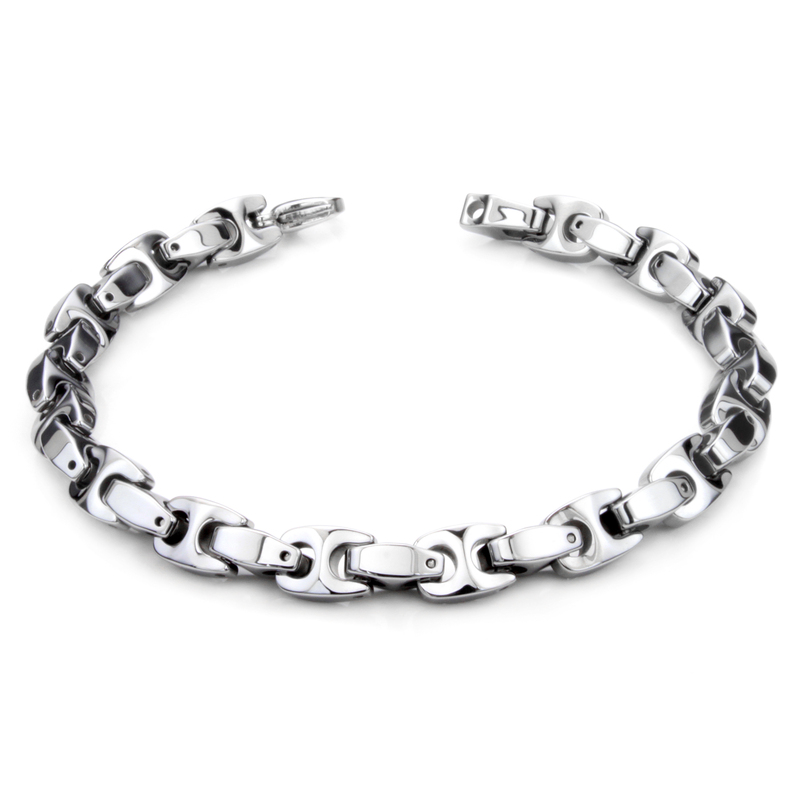 Inspired by the classic Italian Marina link style, this tungsten bracelet features Marina link all the way around with alternating 90 degree arrangement. It is one of the lightest tungsten bracelet in our collection. It weighs only 58 grams for the 8.5" one. 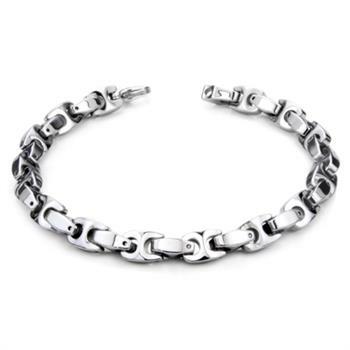 Unlike gold or silver bracelets, this tungsten bracelet will never scratch or tarnish, with the lower prices, it definitely will be the best investment for your wardrobe. To make it as durable as visually appealing, it uses our specially designed security pins to hold the links together so that there will be no chance of it breaking or falling off. The closure mechanism uses a classic lobster claw clasp.